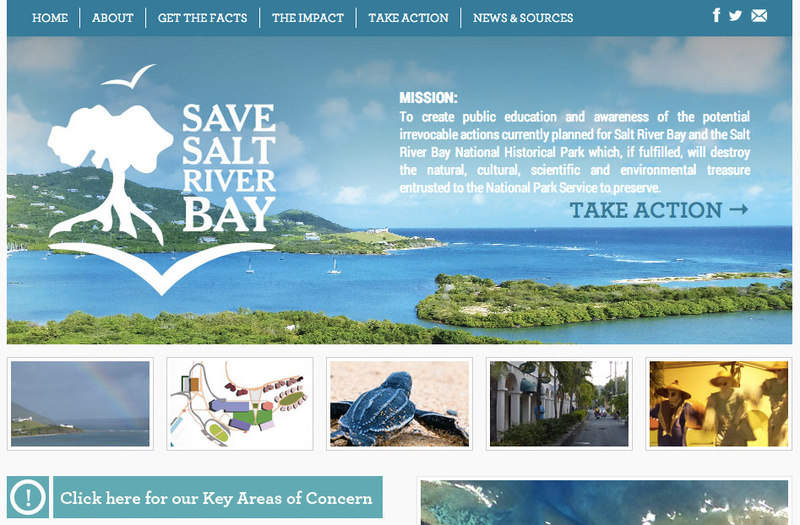 After experiencing the natural phenomenon of a “Bio Bay” in St. Croix and learning of a plan that would permanently affect the area, Eclipse Marketing Services president Margaret Boller and her team launched the website SaveSaltRiverBay.com to help inform the public about the current plans regarding the future of Salt River Bay National Historical Park and Ecological Preserve and also motivate people to take action. We caught up with Eclipse creative director Barbara Johnston to learn more about the creative process behind the educational website and why Eclipse decided to donate their time and expertise to the cause. Tell me about Eclipse Marketing Services and how your firm helps its clients. Eclipse Marketing Services, Inc., is a certified woman-owned business that believes in the power of imagination and education…and what this incredible combination can do for its clients! With over 40 creative and marketing awards in the last 5 years alone for results-driven marketing initiatives in the general and Hispanic markets, our passion and creativity is reflected in our company creed: “Innovate. Educate. Motivate. It’s in our DNA.” The Save Salt River Bay (SSRB) website is a testament to this credo. Share the story behind the beginning of the Save Salt River Bay website. How did Eclipse hear about the situation, and why did Eclipse decide to get involved? She learned about the proposed Marine Research and Education Center (MREC) project being developed by a consortium of universities, the National Park Service and others, which, if built on the current designated site, could adversely affect this Bio Bay. A big area of concern was the lack of public awareness and involvement in the decisions affecting this wonderful national park. There was a small group of residents who were trying to appeal to the MREC partners to review other viable alternative sites which could still accomplish the marine research, stimulate the economy of the island, and preserve the park and all of its treasures…but their voices were going unheard. There are many areas of concern with this development – the project is slated to be built on Salt River Bay National Historical and Ecological Preserve – a park full of history (the only documented landing of Christopher Columbus and the skirmish between his men and native tribes); archeological treasures and burial grounds dating between AD 660 -1015; home to over 25 endangered species; the largest existing mangrove forest in the Caribbean; a unique ecosystem and fish nursery; and rich with natural beauty to be protected and preserved for this and future generations to enjoy. Despite being public land, the right for people to access this area will be severely restricted for security reasons, impacting everyone’s ability to enjoy their public park, kayak in the bays, and hike in the vicinity. 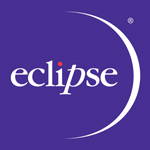 Eclipse Marketing lent its design and web capabilities to the cause to raise awareness. We fully support the premise of research and study. However, we question the location of the site—especially with other, more suitable, locations situated nearby. Walk me through the design process for the website. We wanted the user experience to be thorough, engaging, and educational, allowing navigation to the areas they were most interested in learning about – the historical, ecological, and/or biological impact of the proposed construction – without overwhelming them with data. We used interactive involvement to stimulate the experience and learning, and to motivate them to take action, whether it was through automated online petitions to their government representatives or social networking. What were the most challenging aspects of the project? Sheer volume of content was probably the biggest challenge. Along with the desire to check, and re-check, everything we included. Information integrity was crucial. Because this work was done pro bono, staff time was at a premium; our concern was to get the word out and make a difference before it was too late. How many people worked on the project and how long did it take? For some people, particularly Margaret, Kaitlin Carita (the designer), Katie MacDevette (the project manager), and Adam Sayer (the web designer), the involvement was substantial over the course of a year. Other individuals assisted at times doing research, sourcing images, design and logo concepts, and/or proofing. Is there anything you want people to know about the project – either from a design aspect or an environmental one? What’s ahead for Save Salt River Bay? Ideally, many more years of magical luminescence! And dialog between all the parties who care about the island, its unique resources, its history, and its wildlife. We would like to see the development of an optimum solution that addresses everyone’s needs.